Our project to reinstate all the mileposts on the Uttoxeter Canal reached a significant point yesterday with the installation of Milepost 30 at The Wharf in Uttoxeter. Waterway Recovery Group, part of the national waterway charity The Inland Waterways Association, has kicked off its second year of family orientated volunteering weekends with an event on the Uttoxeter Canal. Hosted by the Caldon & Uttoxeter Canals Trust, the weekend event took place on 9th & 10th June around the Crumpwood area of the canal, near Denstone. The Transport Trust aims to shine a modern spotlight on Britain’s rich and globally-important legacy in the development of transport and engineering. A ceremony on 20th March, conducted by Richard Parry, Chief Executive of the Canal and River Trust; and Stuart Wilkinson, Chairman of the Transport Trust, assisted by Gerald Leach of the Railway and Canal Historical Society, marked the significance of this site with the unveiling of a 'Red Wheel' plaque. CUCT invites you to a FREE illustrated talk about "Restoring the Uttoxeter Canal" at the magnificent JCB Lakeside Club, Rocester. Come along and discover more about the historic Uttoxeter Canal and its route through the beautiful Churnet Valley from Froghall to Denstone, and onward to the market town of Uttoxeter. Join us for an entertaining evening, gain an insight into the work of the Caldon & Uttoxeter Canals Trust and enjoy some time along the Uttoxeter Canal – the hidden gem of Britain’s inland waterway network. Explore the feasibility of restoring to navigation a waterway route to Uttoxeter. Find out how you too could help bring the Uttoxeter Canal back to life. 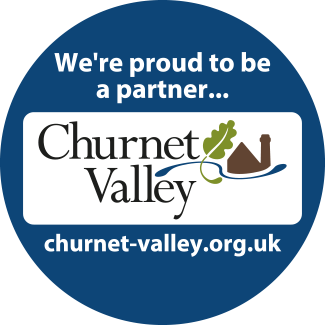 Celebrate the waterways of the Churnet Valley! Enjoy a walk along the Caldon Canal, take a boat trip through Froghall tunnel, discover more about the project to restore the Uttoxeter Canal and go WOW – Wild Over Waterways - with FREE Children’s Activities! Students in Staffordshire have spent this week working on the county’s 200 year old canals as part of a project aimed at bringing Science, Technology, Engineering and Maths (STEM) to life. The group from Stoke-on-Trent College spent the week with the Canal & River Trust, helping the charity that cares for 2,000 miles of historic waterways in England & Wales to improve the county’s canals for people and wildlife. A new website has been launched which invites Staffordshire residents, communities and businesses to explore ways they can work together to look after and enhance the county’s waterways. staffswaterways.org.uk has been developed by the Staffordshire Waterways Group (SWG) to provide a vision for the County’s waterways. It suggests an approach to how each canal could be improved to deliver a better place to live and to create economic growth, and looks at the value of waterways from many perspectives including community, business, tourism, health, transport and the environment. Our work parties in August saw us back in the vicinity of Crumpwood once again tackling Himalayan balsam. Volunteers from two local waterway charities spent a week in June re-painting a 19th Century canal bridge on the Caldon Canal. The cast iron bridge at Hazelhurst Junction, which is a Grade 2 Listed structure, hadn’t been painted for over twenty years, and so The Inland Waterways Association’s North Staffordshire & South Cheshire Branch and the Caldon & Uttoxeter Canals Trust joined forces to plan and implement a project to paint the bridge in a week. The latest work party on the Uttoxeter Canal continued work in the Crumpwood area. One group dealt with a large clump of hawthorn which was hiding the wall of the weir-keeper’s cottage while another group went to Bridge 70 to remove a tree beside the recently restored towpath. Work to reveal buried parts of the weir also continued.